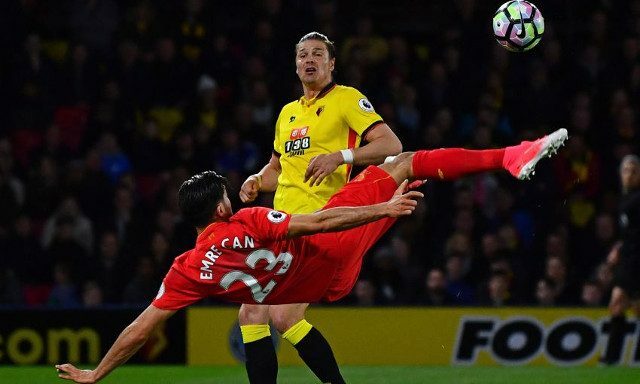 It is looking increasingly likely that Emre Can will still be a Liverpool player next season with the club preparing to take a firm stance towards the German’s contract situation. The midfielder has been subject to interest from 2017 Champions League finalists Juventus in recent months and is yet to have agreed to a new deal at Anfield with his current contract set to expire next summer. That said, the club have seemingly adopted a new-found relaxed approach and are now confident Can will remain a Red following an apparent dispute over wage demands earlier in the year. Liverpool will reject all bids for the 23-year-old regardless of whether he signs a new deal or not, according to the Liverpool Echo’s James Pearce. Doubts over Can’s value to the team following the turn of the year were somewhat reversed thanks to a notable revival and impressive finish to the campaign. The former Bayer Leverkusen man thrived in the absence of captain Jordan Henderson and rediscovered the form that saw him emerge as a key figure during Jurgen Klopp’s first few months on Merseyside. Powerful and all-action performances in the decisive stages of the campaign have reminded fans of what he contributes to the team as well as setting the bar high for what is expected of him from the off come the August restart.